Cedar Creek is dedicated to providing high-quality, unique experiences during each and every visit. In order to provide a wider variety of experiences for a larger number of guests, we’ve brought on several new cabins to start off 2017 the right way! If you’re familiar with Cedar Creek cabins, you’ll definitely want to check out how these new options expand and build upon what we offer. For those planning your first visit with Cedar Creek, learn more about these cabins for how they embody the Cedar Creek philosophy. 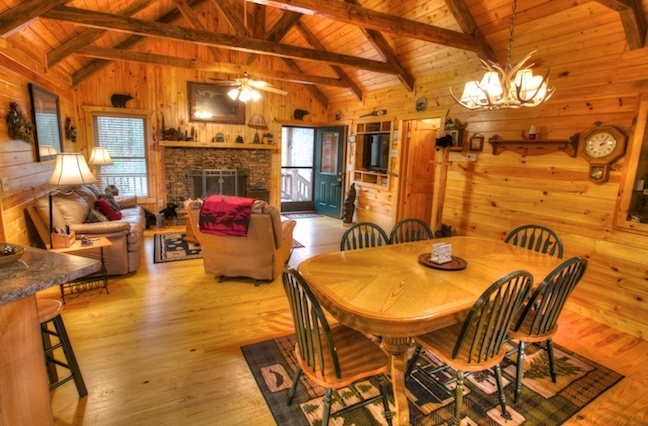 Bear Haus can comfortably accommodate large family gatherings of around 12 people at a time, so bring everyone. The adults can relax in the hot tub while the kids enjoy the special gaming area, or bring everyone together in the fully-stocked modern kitchen and dining area! Oasis is a modern, extravagant spa cabin built as a relaxing escape for couples. 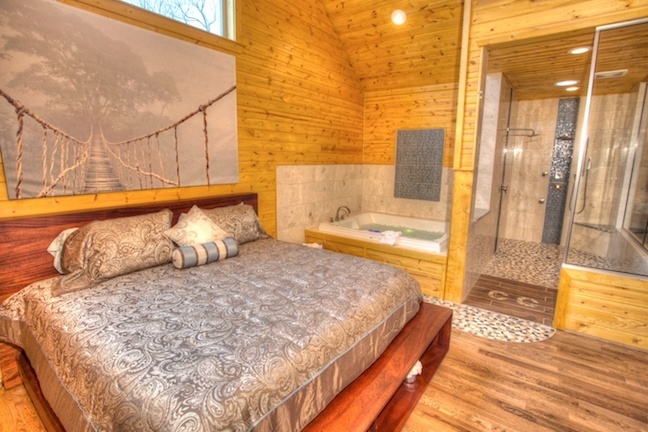 With a rain shower with two shower heads, a heated Jacuzzi two-seat Spa Bath, and other luxurious amenities, Oasis is the cabin retreat you’ve been looking for. 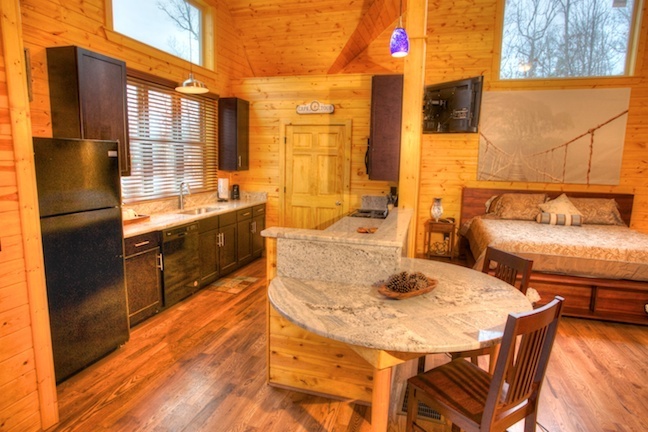 Sweet Retreat offers a unique cabin escape through the little things. Perfect for bicyclists, the cabin offers a pleasant ride on paved roads from the front door all the way to the city of Helen. There’s also a wood-burning fireplace inside and a charcoal grill on the porch, so you can get the fire started whether it’s cold or hot outside. Destiny is a couple's cabin with romantic and relaxing luxury features. 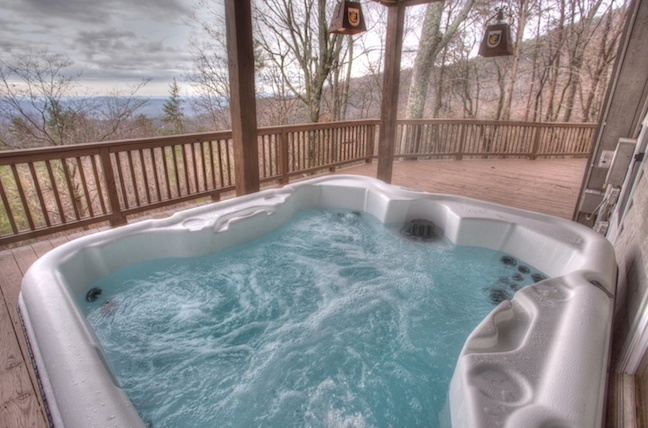 With a hydrotherapy hot tub spa outside and 100% natural light tube for the indoor spa features, you'll be able to combine the comfort of a private resort with the rustic pleasure of a cabin stay. Radiance was named to recognize the abundant natural light that fills the cabin. As a relaxing spa-style getaway for two, it also speaks to the way you’ll look and feel after using the shower, Spa Bath, and Hydrotherapy Spa features. Once you’re fully relaxed, you’ll also want to utilize the state-of-the-art kitchen, high-def television, and full-size pool table. 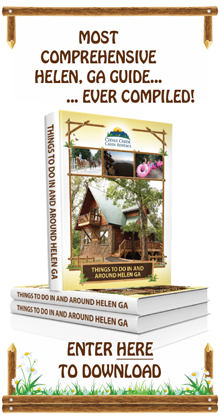 Outside, as with any of our cabins, you’ll of course be able to enjoy the rustic nature of Helen, Georgia. Have you booked your cabin yet? Click any of the cabin links above to book your stay in the cabin that best suits your mood! 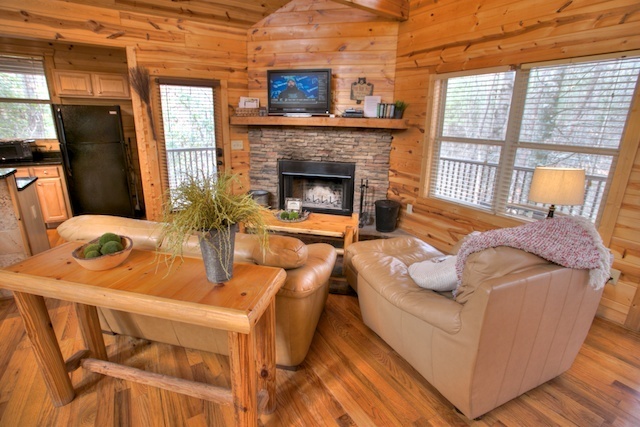 Or, if you're looking for our other cabins, click this link to begin your search!